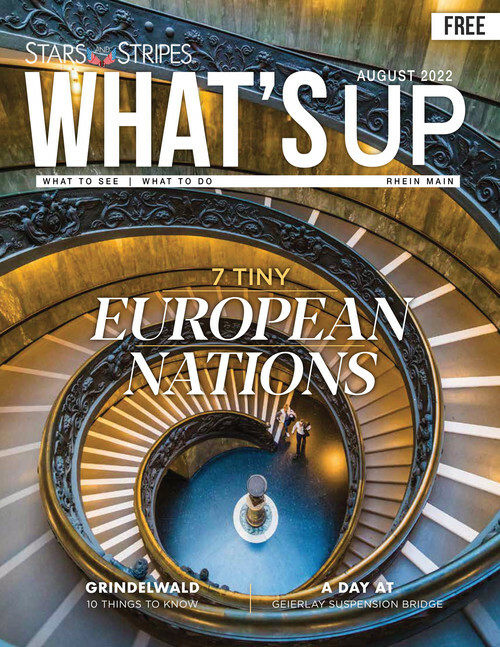 What’s Up is a one-of-a-kind magazine, designed specifically to encourage U.S. servicemembers and civilians stationed in Germany, and beyond, to get off base and enjoy all that Europe has to offer. 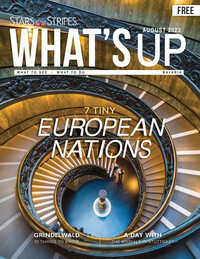 Each issue of this free print and digital publication is packed with information about Europe’s little known, must-see travel destinations and tourist attractions, shopping, dining, outdoor activities and more. Plus, a monthly calendar of events for the most popular and family-friendly festivals from all across Europe.